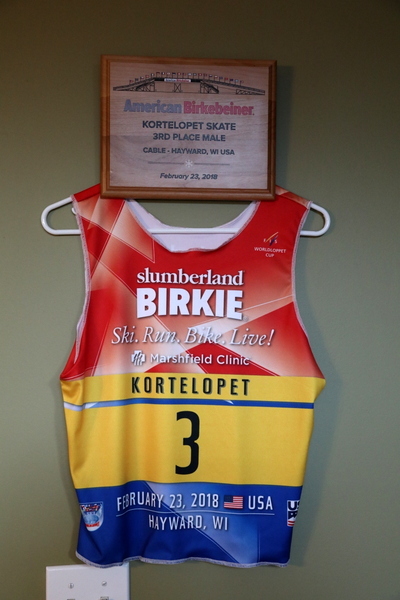 I've been seeing reports from the Birkie Trail and they've been killing me. Perfect conditions, fast snow, warm, no wind, no crowds. The problem is, after a few months off, I've been struggling to complete 1 hr workouts. So, I figured I could get in one last ski on the trail this weekend. I drove up Fri night (alone), and stayed at a friend's cabin (alone). The cool thing was seeing this on the wall. As you can see, my buddy's son had a nice race. So, this morning, I showed up at the OO trailhead (alone) and found a couple friends skiing. We went north to Birkie Ridge (and down to the parking lot) and then continued north to Timber Road. Great skiing, great conditions (good skis) and the snow was very fast. At about this point, I could feel the skis slowing in the sunny spots. I left my friends (who were continuing north to the start and then were going to ski all the way back to OO, yeah, really) and met up with some other friends heading sourth. All these guys are roughly my age, so it was a fun ski. One of the guys was struggling with heart problems and he's going to have an ablation next week. As you can imagine, we had something to talk about it. I ended up leaving this group too and continued on to OO (they ended at Bodecker). Total about 21 miles and 2:37 (with probably 10 min of talking). I was quite happy with the whole day, the skiing, the friends, and that I felt better than expected. If you're interested in skiing the Birkie Trail, I'd get up there...like tomorrow. (grin). 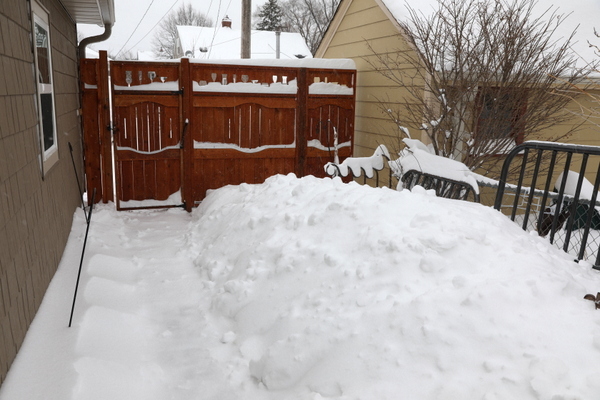 60F is hard on snow. Jay, I’m glad you are able to do this. We went to AZ for April to escape the spring mud at home. Of course there’s no mud there yet because skiing there has been great, and crust skiing on the lake has been exceptional. So it looks like we will return for the May mud season. But I have been able to get in some good early season bike rides.